We believe that Brazilian JiuJitsu is a means to personal development and growth. Strength, self-awareness, respect, discipline, and responsibility are common core values taught within our youth curriculum. Our youth curriculum is designed to teach these concepts as well as building a strong foundation for Brazilian JiuJitsu understanding. 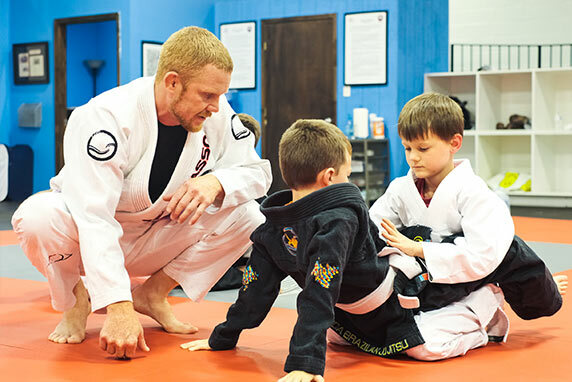 Students will practice techniques, motion drills, exercises, and games to explore the art of Brazilian JiuJitsu and to build character. No previous experience is required for students to join this curriculum, and our instructors will provide 1 on 1 attention during their first few classes. Our youth curriculum for older students is designed to teach these fundamental concepts of respect, responsibility, and discipline as well as building a strong foundation for Brazilian JiuJitsu understanding. 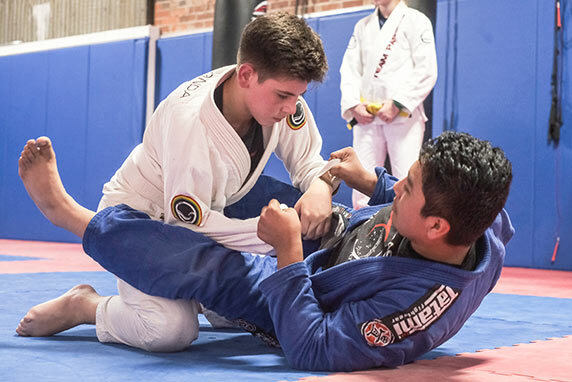 Students will practice techniques, motion drills, exercises, and games to explore the art of Brazilian JiuJitsu and to build character. Meet with our coaching staff and get started with any of our programs.